Fortune Polytech Private Limited is a recognized name in the Plastic Industry for providing durable plastic products. We offer a wide assortment of tough Plastic products namely Plastic Tarpaulin, HDPE Ropes, Jumbo Bag, Agricultural Nets etc. Our HDPE Ropes are used in various industries namely Marine, Fishery, Transport, Shipping, Utility, Power Transmission and Engineering. 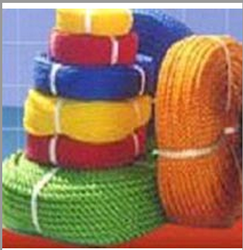 The HDPE Ropes, we offer are made from optimum quality HDPE material. Our HDPE Ropes possess high strength and are available in different colors. Transport Industry : On trucks for tying and securing the load. Shipping Industry : For Towing and Mooring of small vessels. Construction Industry : For Material handling as slings. Fisheries : Winch ropes, Head and Foot ropes. Anchor ropes Stevedores : As cargo net and slings for cargo handling. Electricity Boards : For Line Stringing and Tower Erection. Our Jumbo Bag is approved to EFIBCA Standards and certified by NEL. Our Jumbo Bag or flexible intermediate bulk container (FIBC) is dust-proof. 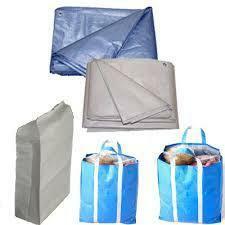 The Jumbo Bag, we offer is very useful for bulk packing and transportation. Colours : Green! White & Red. The company offer tough and durable plastic tarpaulin with rope-reinforced edges and aluminum eyelets. Our plastic tarpaulin has features no stitches, water proof texture, crack and tear resistant, odorless, rot proof and shrink proof. 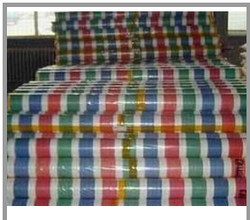 We offer plastic tarpaulin, which is light in weight. 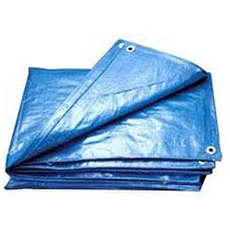 The company makes available plastic tarpaulin in different sizes, at affordable prices. heavy duty, rust resistant grommets on sides and corners. tear proof - shrink proof - rot proof. our products conform to astm, msf and domestic standards. tarpaulins are available in the range - 75 gsm, 80 gsm, 90 gsm, 100 gsm, 120 gsm, 140 gsm, 150 gsm, 170 gsm, 180 gsm, 200 gsm, 225 gsm, 250 gsm, 300 gsm, 340 gsm and 400 gsm . covers : to protect boats, automotives, swimming pools, snowmobiles, machinery, construction sites, transponation, lumber, grain, build temporary storage. camping : tents, ground sheets. recreation : picnic mats, beach mats, privacy walls, wind protection . The company offers spacious Woven Sacks. 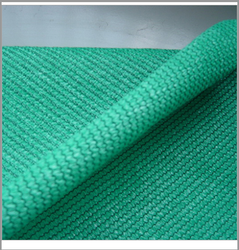 The Woven Sacks we offer are developed to provide tamper-proof packaging. Our Woven Sacks are available in different sizes as per the demand. We offer our Woven Sacks at affordable prices. Sacks with valve at 45o angle . 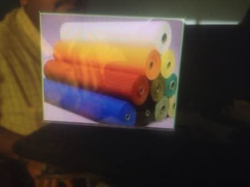 We are specialized in manufacturing PE Tarpaulin Roll from 100% virgin Polyethylene. We offer PE Tarpaulins in roll form in both 6ft and 8ft and lengths of 50 M and 100M or as per client's request. These rolls have reinforced corners and widely preferred for impressive strength and tear resistance. Our PE Tarpaulin Rolls are waterproof and lighter than canvas. Polyethylene Tarpaulins can be made available in assorted sizes and colors.